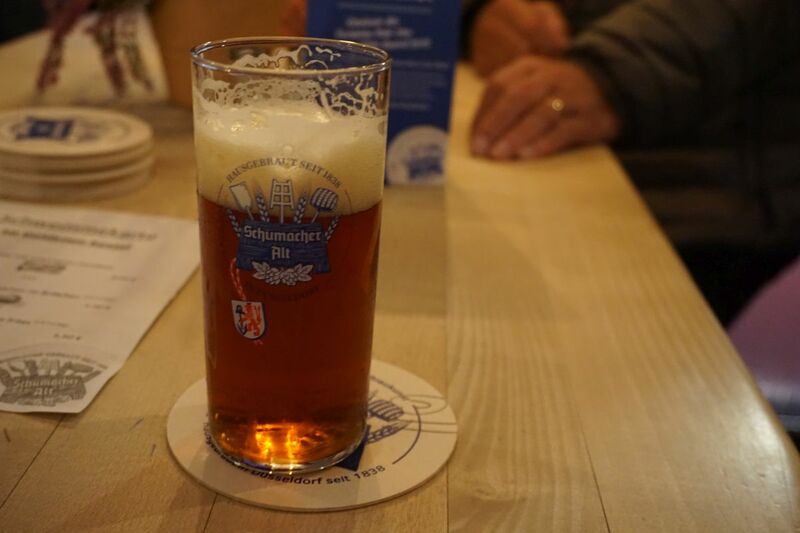 Dusseldorf is traditionally known as the city where they brew Altbier. 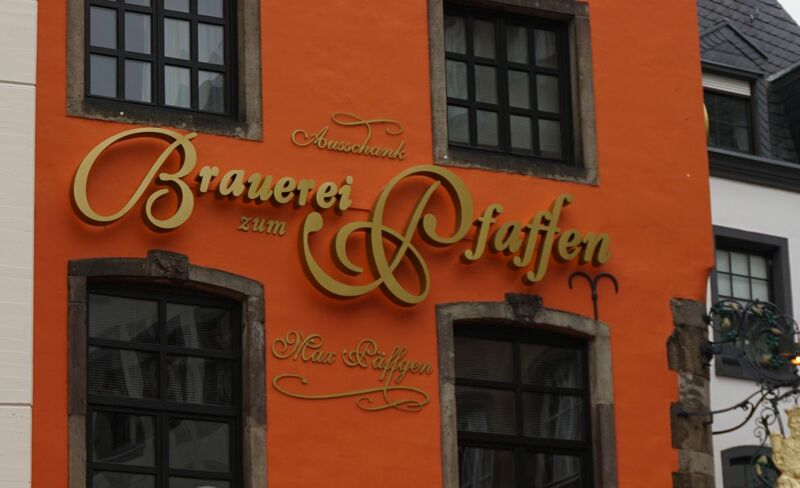 There are numerous breweries in the old town area of the city that get packed starting around 7PM. I visited five different spots and of the five, only one was comfortable accepting payment via credit card. A few said they accept cards but require a 100 euro minimum charge, which might as well be cash only. 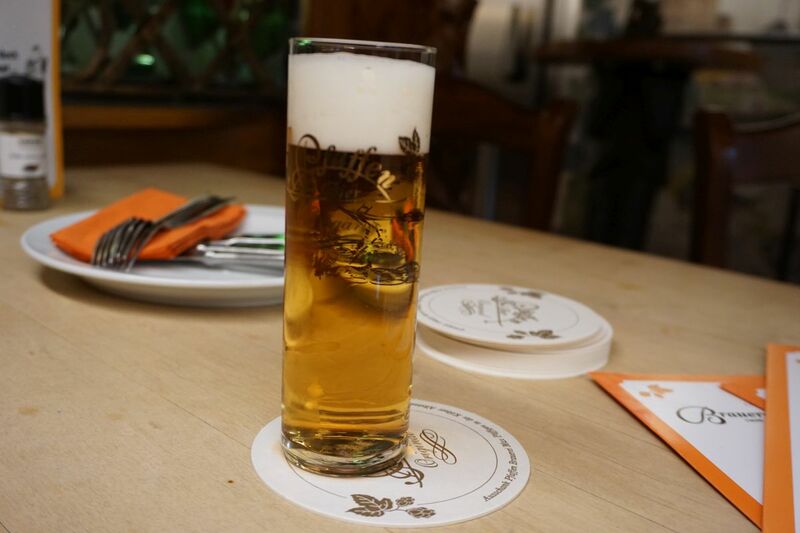 Beers are served in 200ml glasses so while you go through quite a lot of beers, it takes five to drink a full liter. I started at Uerige first, where I met a Korean woman visiting Germany from Los Angeles and ended up joining me for the rest of the night to chat while we drank. Uerige had one of the more traditional feels of the bunch and also the beer that was the most hoppy/bitter. I had a lovely salad there with my beers. Their Altbier had notes of bitter acorn, notes of cherry, and a lingering bitterness. 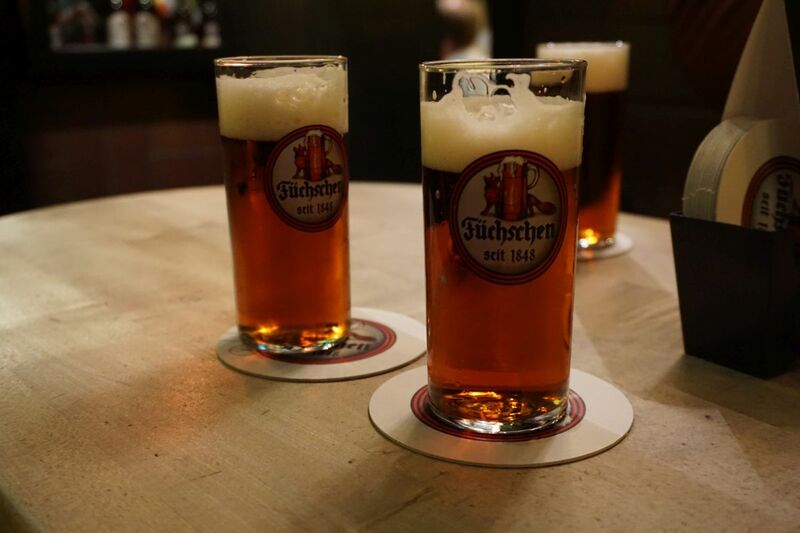 Though a number of the altbiers we tried were hoppy, they tended towards the bitterness over aroma, letting the malt character shine through. 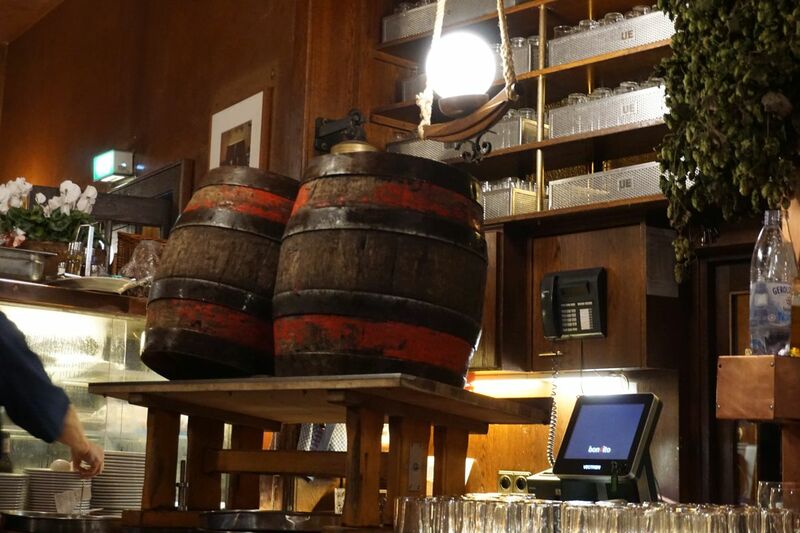 In most of the breweries they would constantly roll out wooden casks and pour glass after glass of beer. In a few of the more busy spots they seemed to empty a cask in 30 minutes or less. Perhaps it was because it was early but at Uerige they didn’t constantly serve us like they did at some of the others but we still got our beers quickly. My companion enjoyed the altbier at Uerige the most of the bunch. It was a highlight for me as well though I appreciated some others for their more restrained bitterness. Next on our list was Zum Golden, right up the street, though they were closed that day. 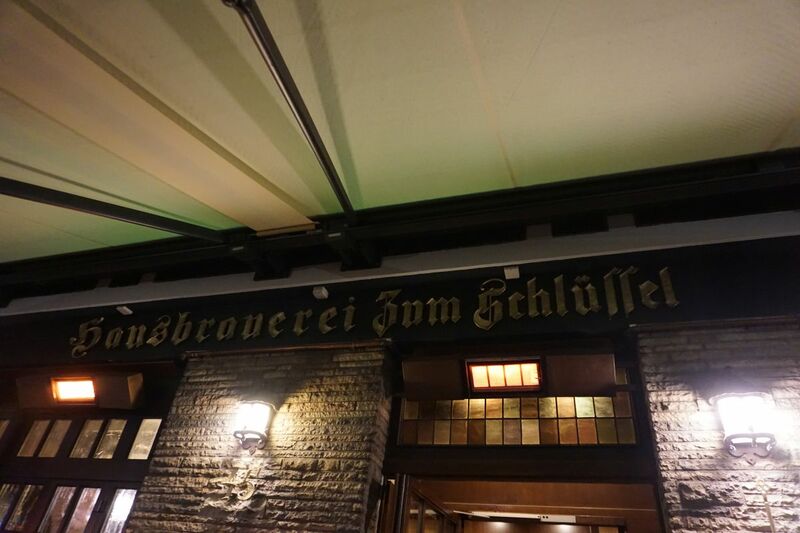 We made our way to Zum Schlussel next, where we had the sweetest of the beers with more notes of caramel and molasses and a more creamy head than the others. They seemed to be the biggest space of them all and the restaurant was packed with most tables either occupied or reserved. 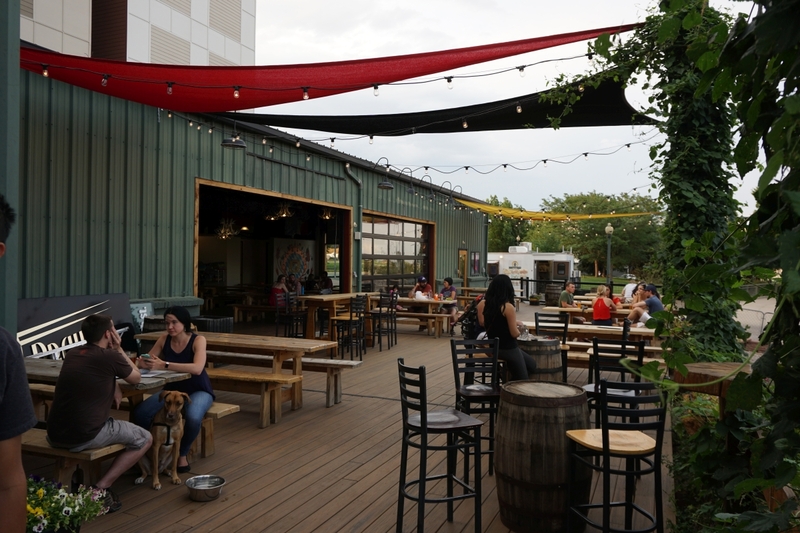 If you plan to eat with a group at one of these breweries, you should make a reservation or expect a wait. 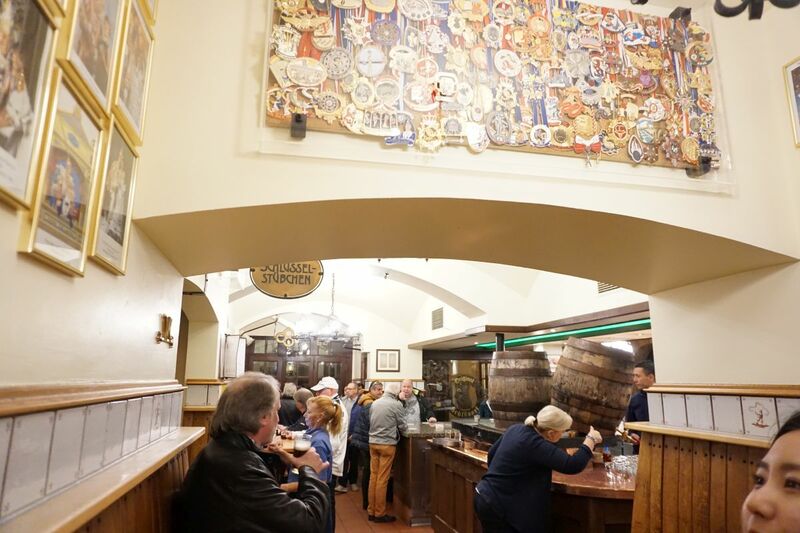 We set up at Zum Schlussel in a standing area in view of the casks not far from the front door and watched as they filled beer after beer to deliver to the tables around us. 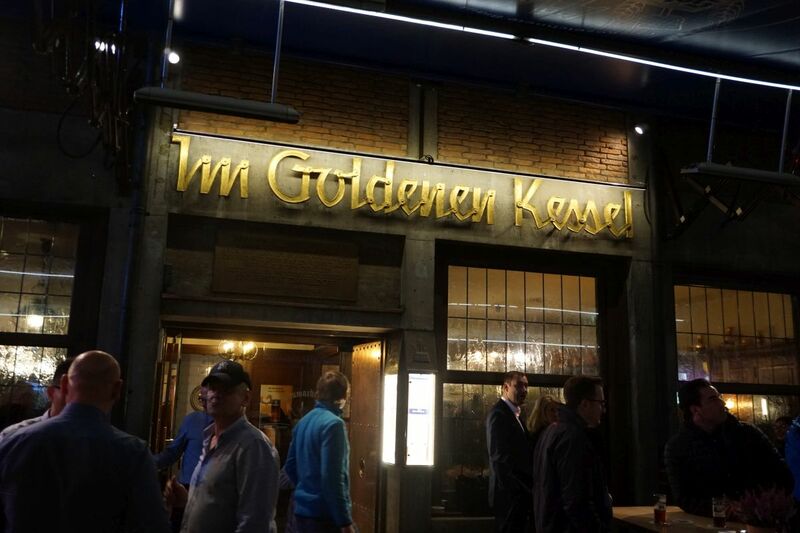 We each had two glasses here and moved on to the next spot, Im Golden Kessel, just down the street. There we stood to drink as well and experienced our first constant serving of beer. The beer there was a bit closer to Uerige in flavor and bitterness. 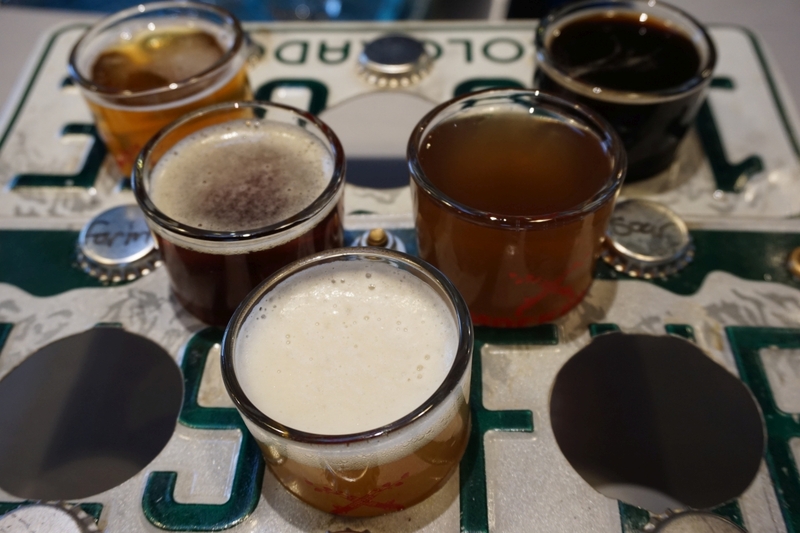 The important thing at most of these spots is the beer is so dry that it is easy to drink through glass after glass without issue. Our drinking was occasionally interrupted by the popping sound of a new cask being tapped. 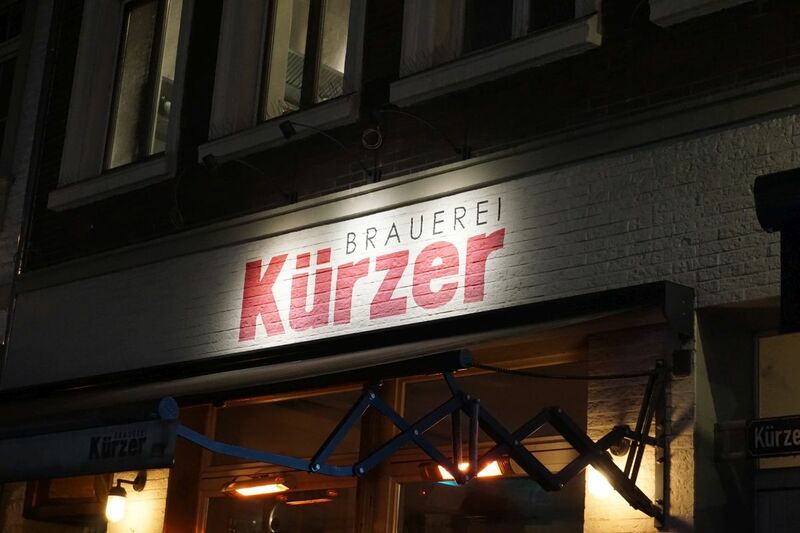 After a few beers we moved on to Kurzer, the newest of the bunch and also the place with the youngest crowd. 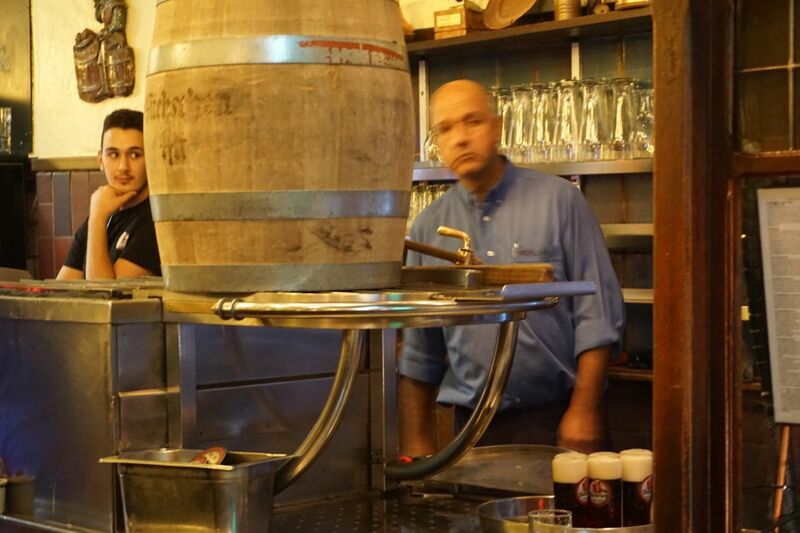 They used a different sort of cask that was much smaller but had no issues keeping us constantly supplied with beer. I initially got some notes of Indian Curry (masala chai) that thankfully dissipated over time but in general this was not a favorite of mine. We also might have been turned away except the people who reserved the table where we set up did not show up. Here again they required cash to pay for the beers, despite the modern feel. We moved on to Fuschen, where we stood near the entrance as well. This place was also packed but we settled in a bar area where they were happy to serve us beers. By this point the flavors were all starting to blend together and it was hard to distinguish one from another. 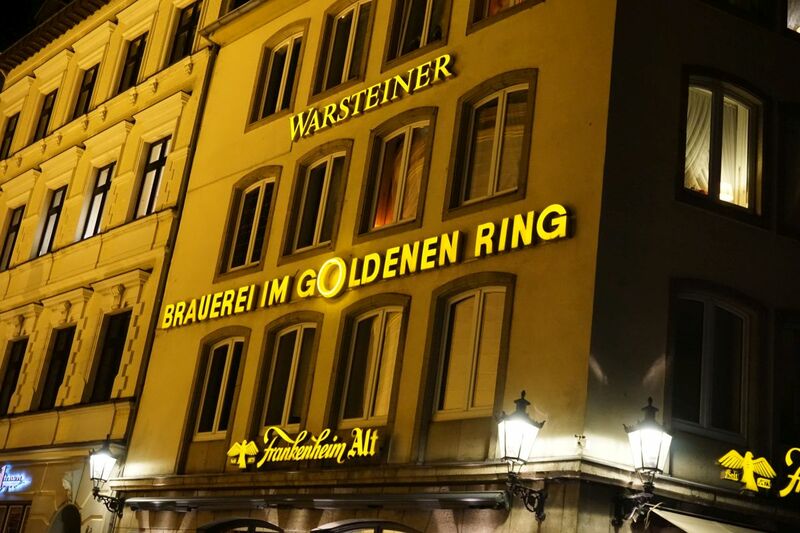 We finished our few beers there and moved on to Im Golden Ring that seemed like it was on the ground floor of a hotel. Though they were getting ready to close, they didn’t mind serving us. 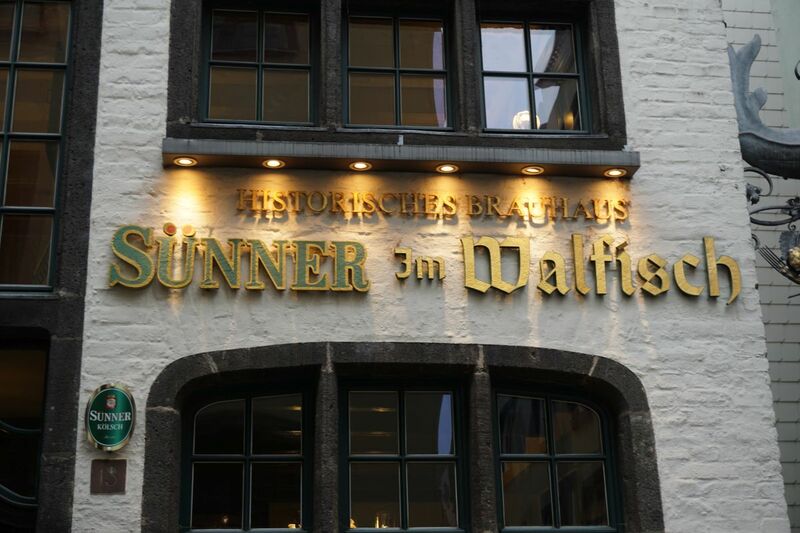 This was the first spot that had something other than Altbier on the menu and actually gave you a menu of drinks. We each ordered a larger 400ml pour there. The other tables appeared to be all drinking Weissbier. This was also the one spot that I was able to pay with a credit card. 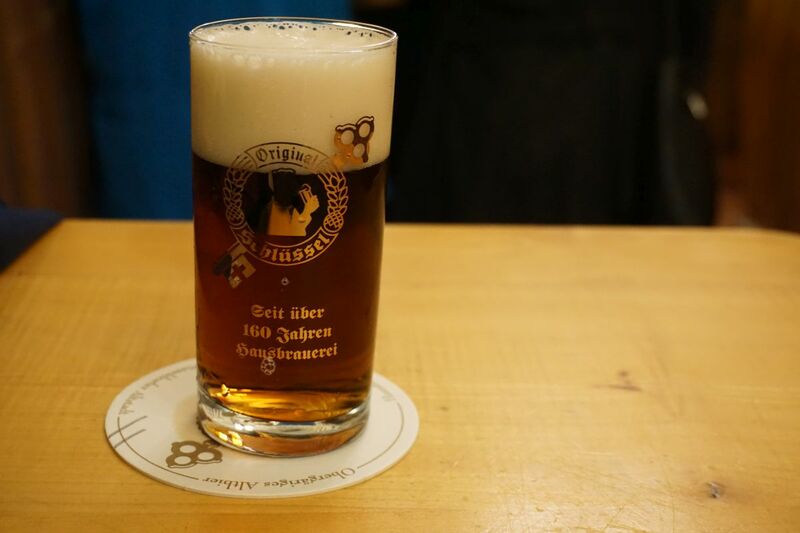 I found their version of Altbier to be quite mellow and also similarly caramel forward. My experience with the breweries was much enhanced by having someone with me to chat with. The Germans around us didn’t seem to speak any English and also didn’t seem very interested in chatting. 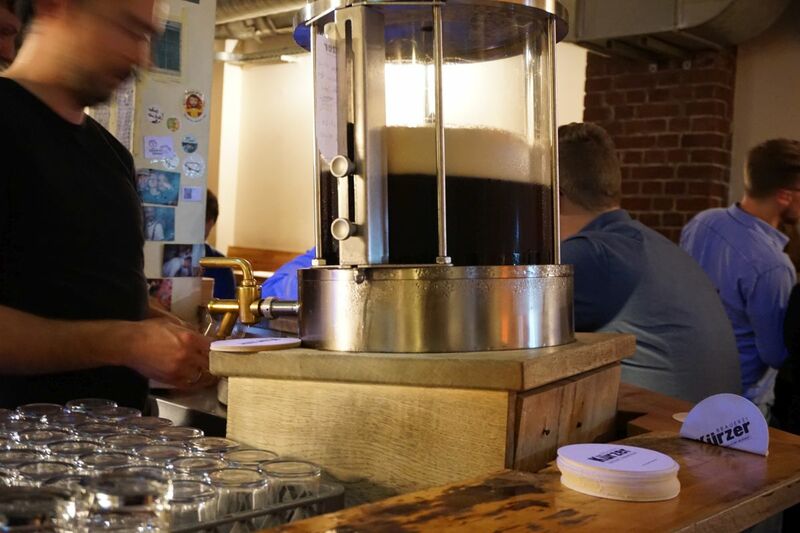 Like with Dublin, I could tell that for the visitors to these breweries, drinking is more important than tasting and few people were sipping their small beers. 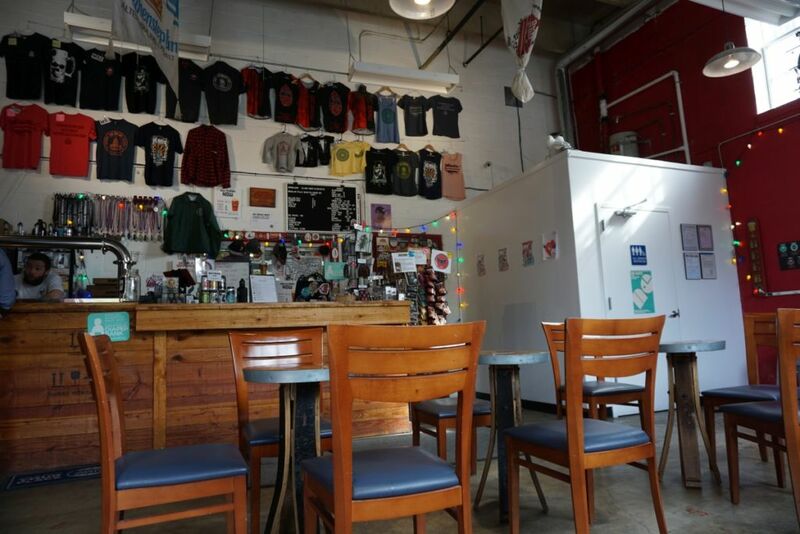 While it was fun to visit a bunch of different breweries, you may find it equally enjoyable to set up in a spot and drink much more there. Just make sure you have cash handy. 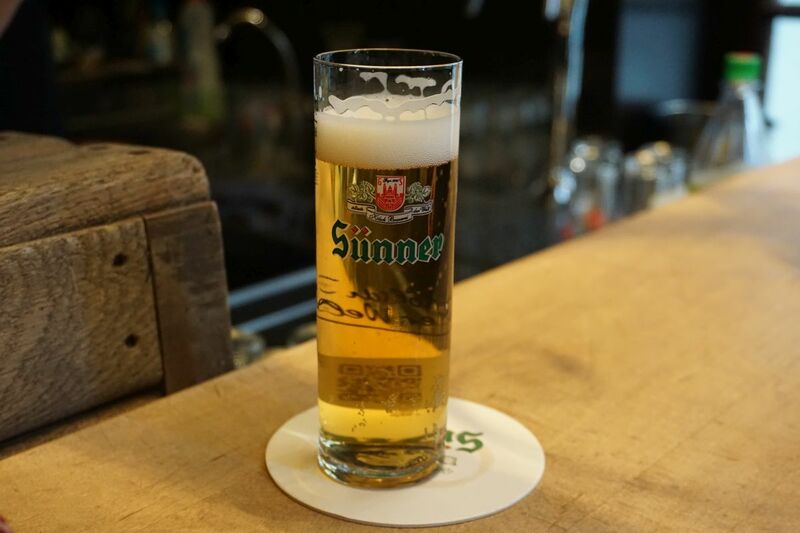 The standard price per beer was between 2 euro and 2 euro 50 cents, which makes it between 4-5 euros per American pint. 200ml is just under 7 ounces so two beers is slightly less than an American pint. 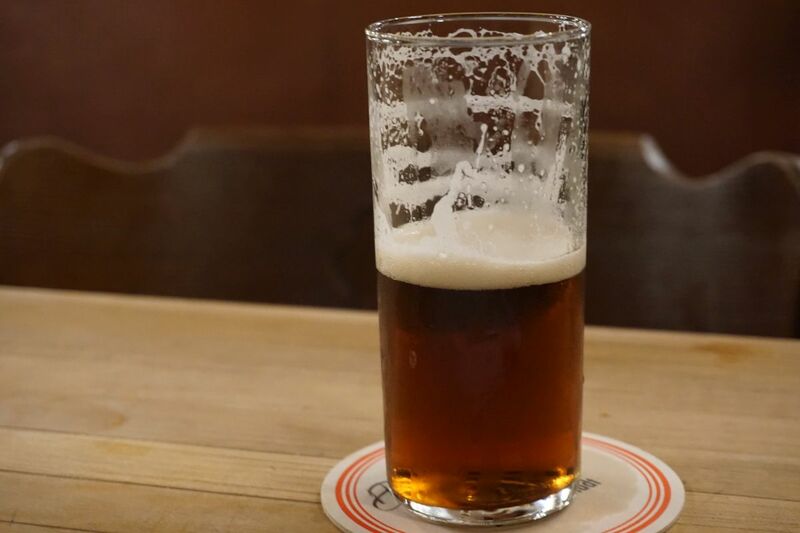 In case you have your fill of Altbier and decide you want something different, you can find some craft beer either at local shops off the beaten path or even a bar in Old Town area. 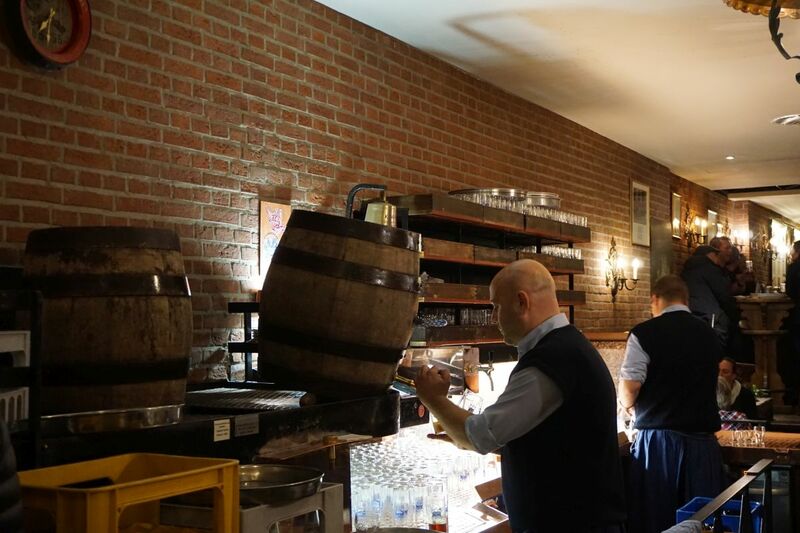 Holy Craft has a bottle shop in Friedrichtrasse and a bar in the Old Town area of Dusseldorf. 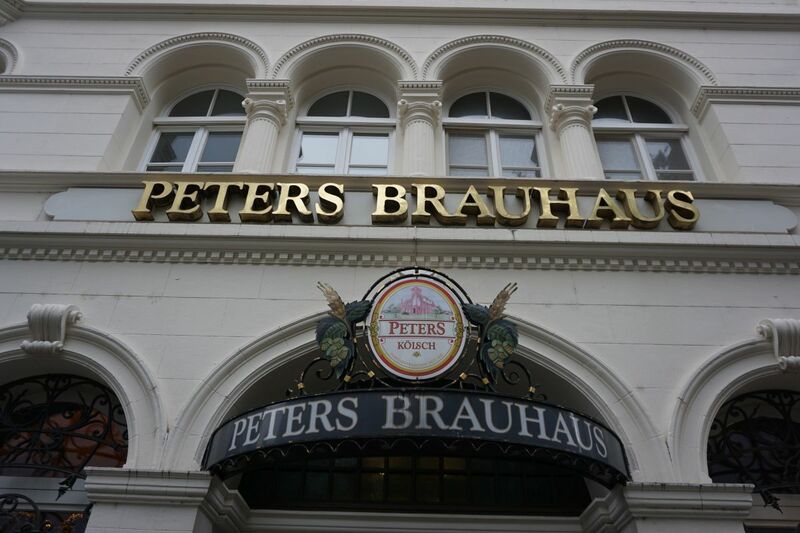 I only visited the bottle shop but it is a good spot where you can find various craft beers and also sample German classics like Berliner Weisse and Gose, both slightly sour, though the German varieties are much more yeast forward (like a traditional weisse beer) than we are used to in the US. 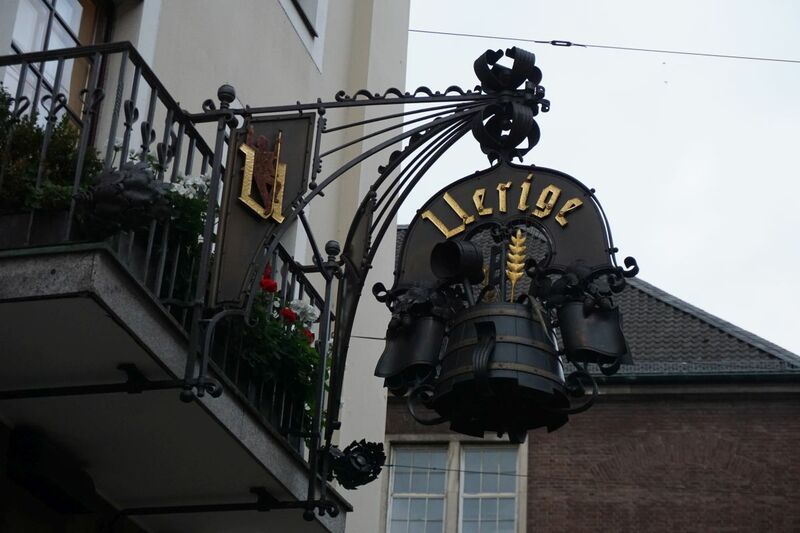 Uerige – this was the most complex tasting beer of the bunch. 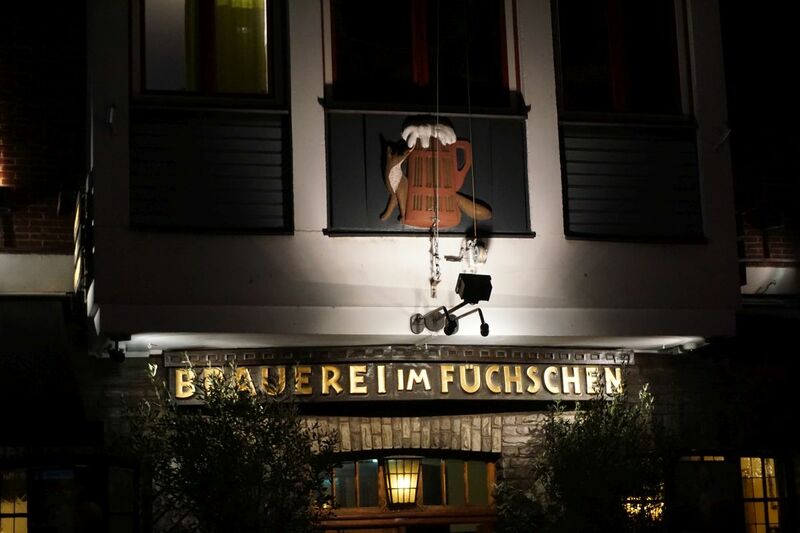 Fuschen – Lovely traditional feel, and delicious beer. TIP: Remember to bring cash because most of these spots are Cash Only or have a minimum charge of 100 euro on a card. 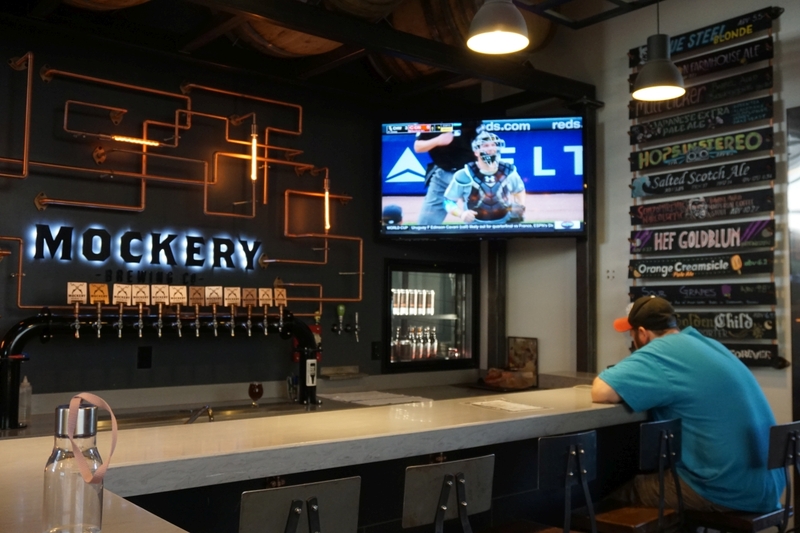 Mockery was my third brewery of the day and also my least favorite from that day. Though they did have a few solid beers out of the bunch. 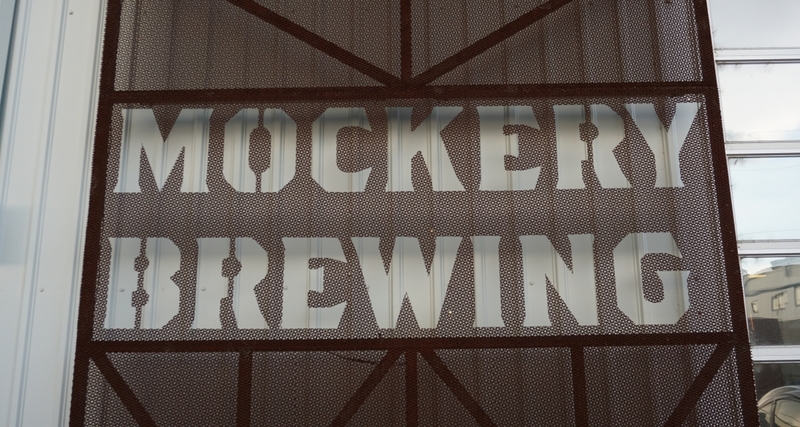 The brewery was pretty empty because it was July 4th and the brewery was nice and cool. I started with the dandelion farmhouse. It was dark and malty with notes of cherry and an herbal bitterness. It didn’t work for me at all and didn’t taste like a farmhouse beer to me. Hops in Stereo IPA was decent with hops mostly on the herbal flavor and a boozy finish. 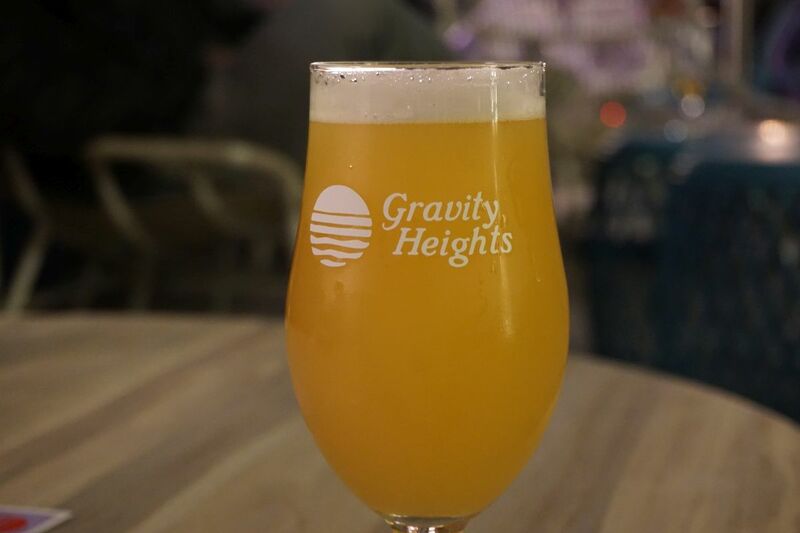 The Rock on Forever IPA was hazy mostly because it was a new keg. The beer was creamy and tropical with a light bitterness. It was a solid IPA and the best of the bunch. Sour Grapes was quite disappointing. 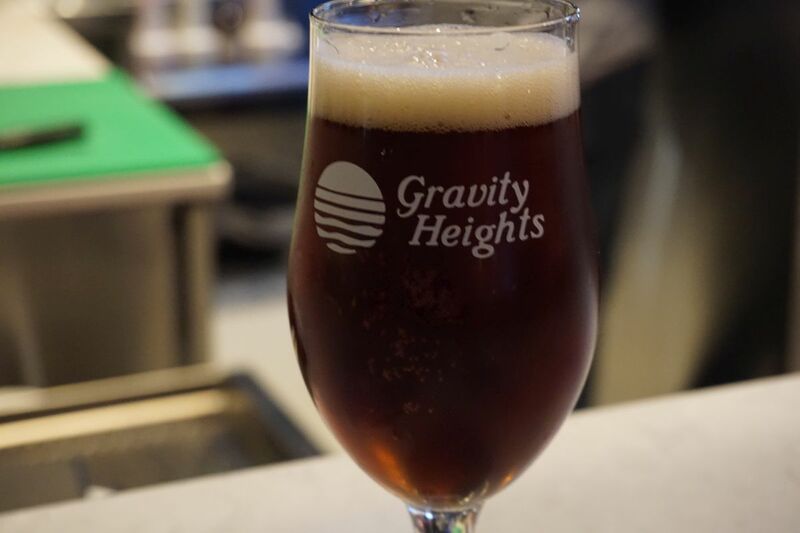 The beer was strong and boozy with mild grape character and light caramel. 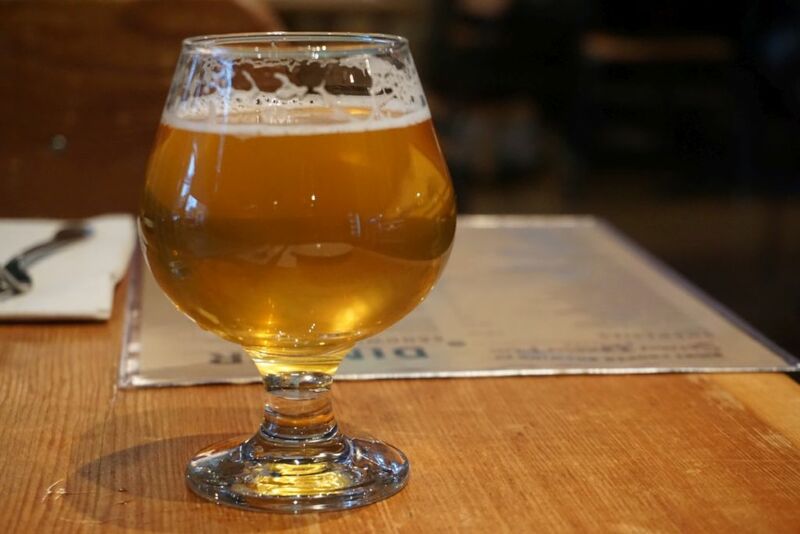 It was nothing like a typical american wild ale. The barrel aged stout was quite good with tons of dark chocolate and a great balance for 10%, largely hiding the alcohol. Mockery had a solid lineup though I would not recommend you visit if you are hunting for sours. 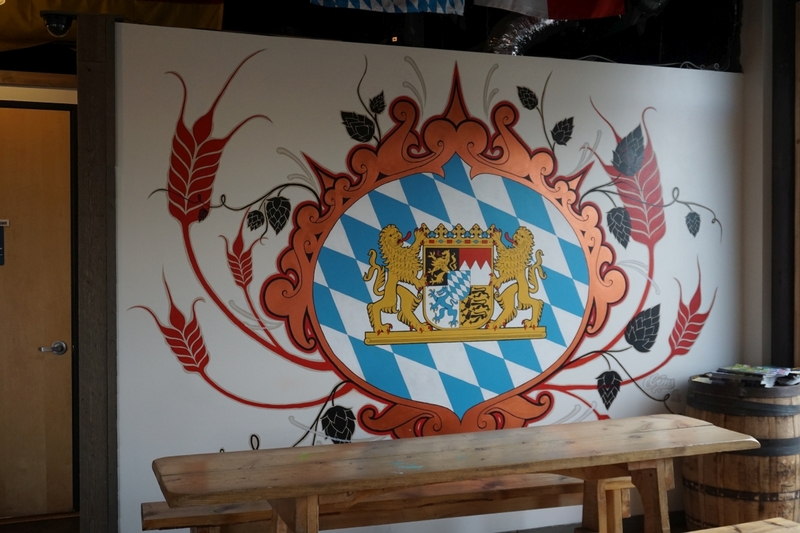 Prost is a full on German style brewery. 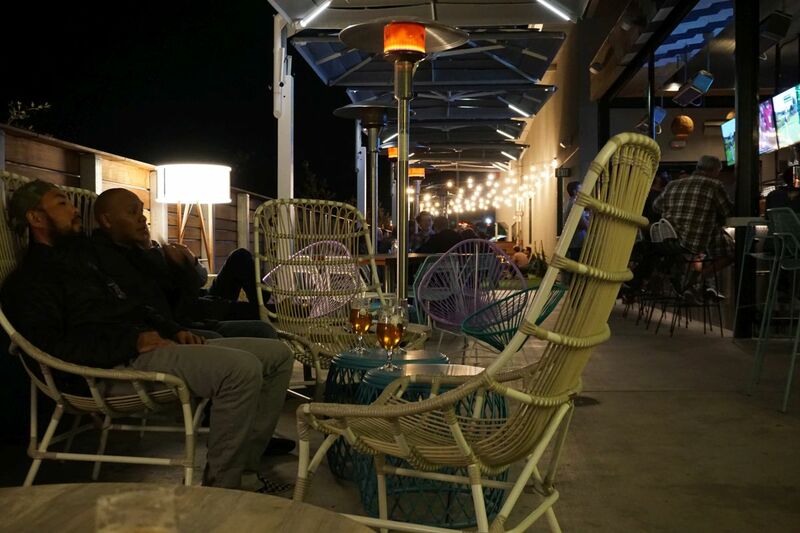 They have a wide open inside seating area as well as outdoor seating. They had a food truck on site when we visited, with great food. I only ordered full pours of two beers because after all the tasters I wanted to have a proper half liter of good beer. 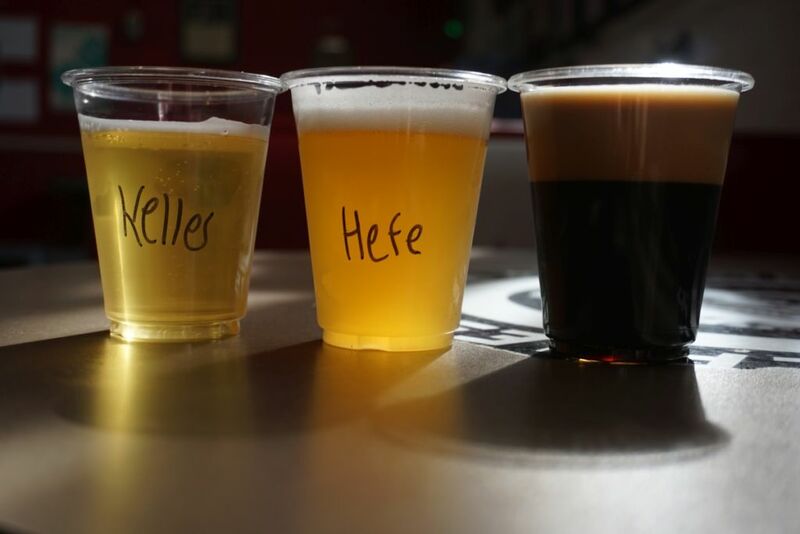 Before ordering the Keller Pilsner and Heffeweizen I had a small splash to confirm they were what I wanted and both were great. 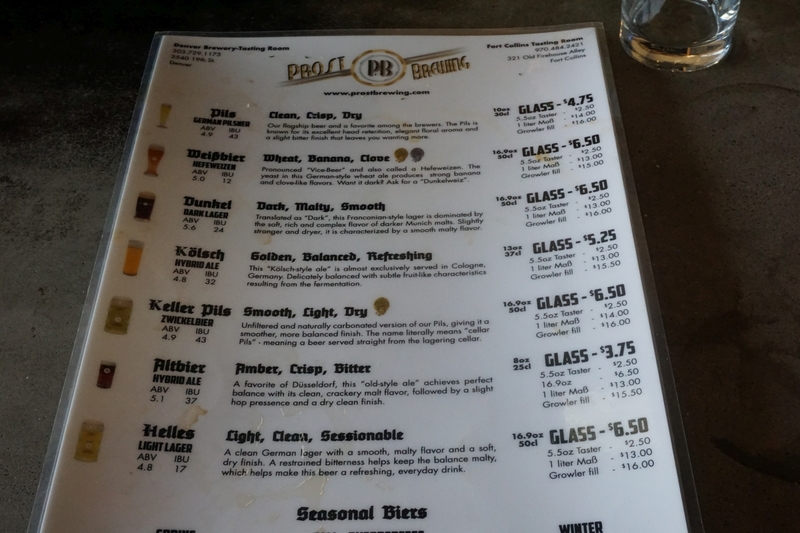 The Keller pilsner was delicious and lightly bitter with doughy and earthy notes and mild hops on a clean finish. It had all the complexity I expect from the style and is more my style than the lagers at Bierstadt Lagerhaus. The Heffeweizen was perfectly balanced with notes of banana and clove but not overpowering the beer. It had a good dry finish. If I lived in the area I would drink their heffeweizen on the regular. 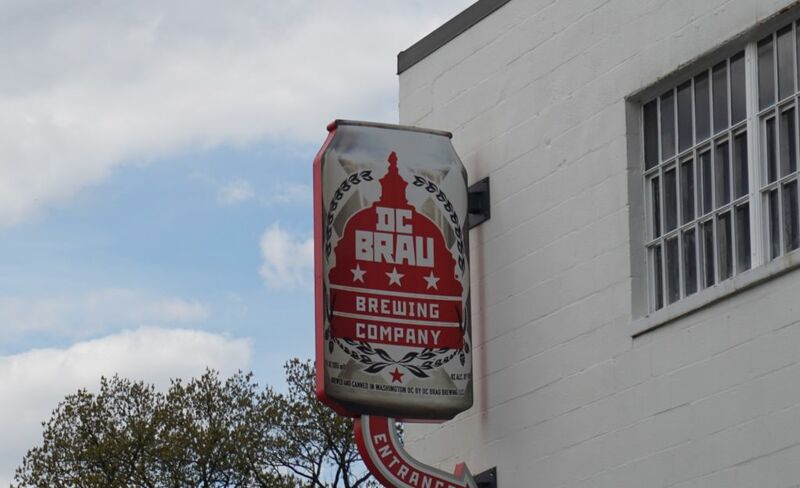 DC Brau is a bit outside Central Washington DC and quite a pain to get to on public transit but I decided to make the trek during a recent visit and I am very glad that I did. I basically rented a car just to go out to this brewery and another one because I like to drink at breweries rather than bars. 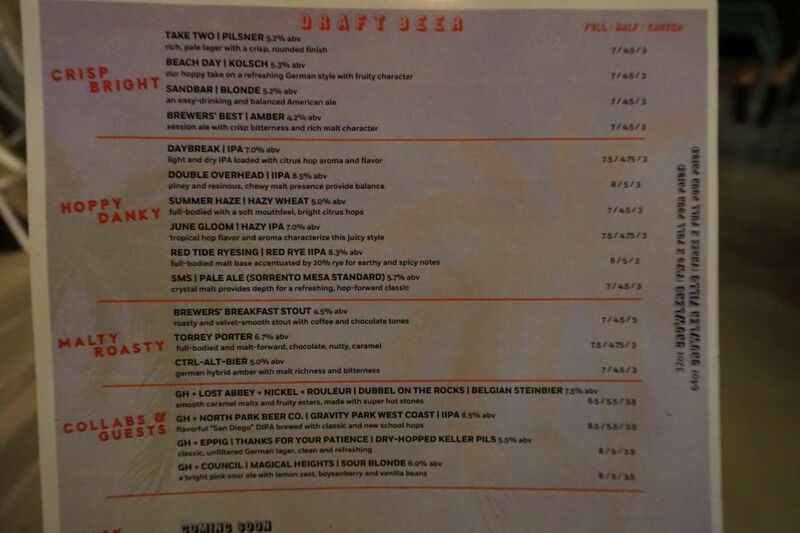 While I expected the beers to be good, I was very impressed by the quality of everything they served. 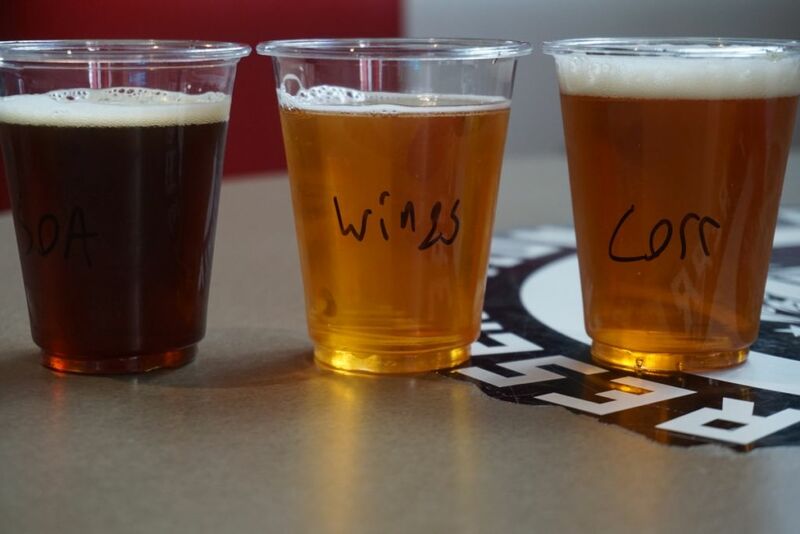 I generally would be spending a bit of time complaining about the fact that the brewery serves their tasters and plastic cups. Surprisingly, the beers were so good that I didn’t really care that much. 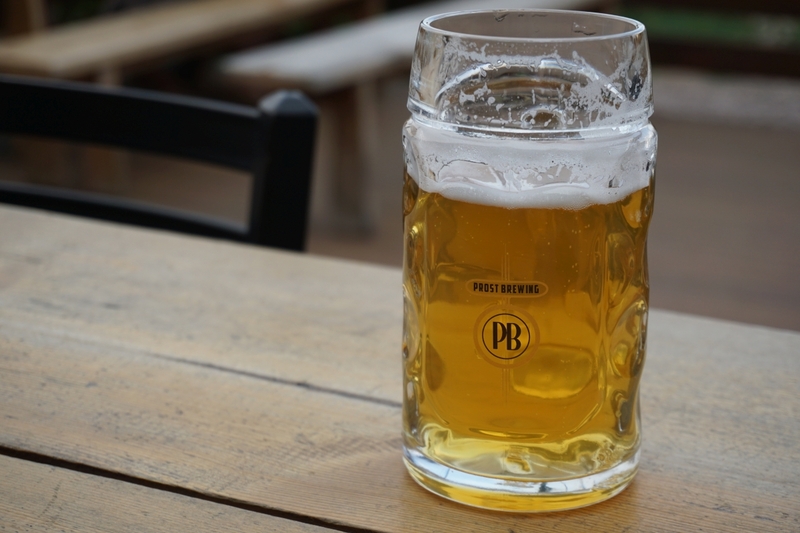 I started with the Keller Pils, an unfiltered Pilsner. It was crisp and delicious with an earthy malt base and light notes of fruit. I ended up getting a pint of this before I left. 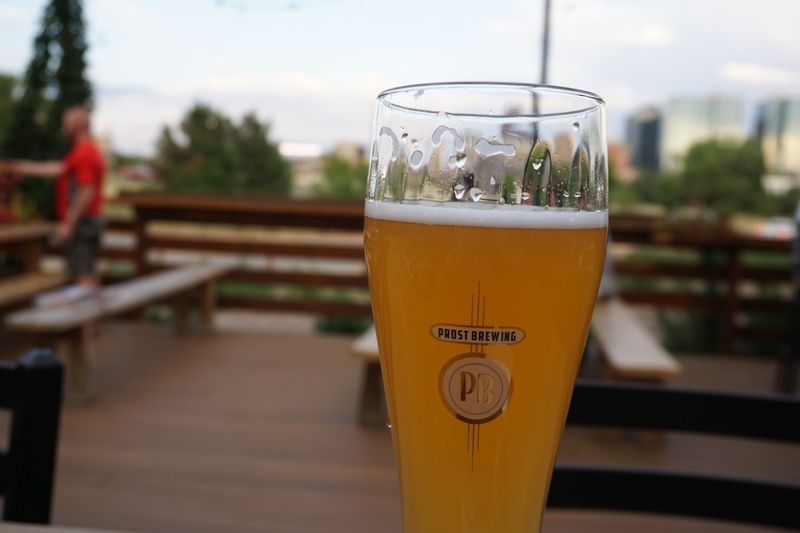 I was especially impressed by the Heffeweizen, a style I normally do not order as often while visiting breweries. It was excellent, balancing the notes of banana and cloves with a nice chewing mouth feel and dry finish. While both banana and cloves were flavors I tasted, they were not so strong that they overpowered the rest the beer. 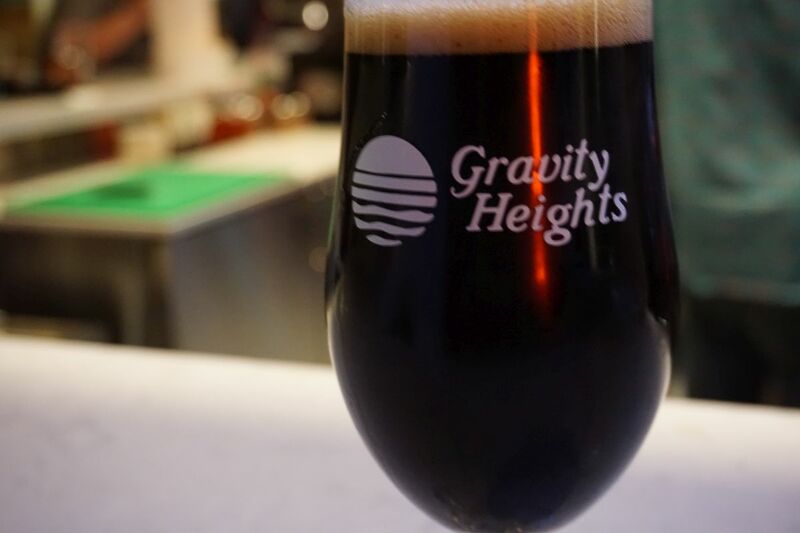 The Porter was creamy and dry with notes of coffee, dark chocolate, and roast the finish. While I did not get a taster of the dry stout myself, it was also quite excellent from what I tasted of my friend’s beer. The IPA was super dry at the finish with notes of resin and dank hop notes balanced perfectly with a medium bitterness to finish it off. The double IPA was dry and resinous with mild sticky dank character and some hints of ripe fruit. The beer hid the alcohol extremely well and finished with a light herbal bite and subdued bitterness. Both of the IPAs reminded me nicely of my local favorite Societe brewing in quality. The scotch ale was also quite nice with notes of raisin, caramel, and a lightly sweet finish. 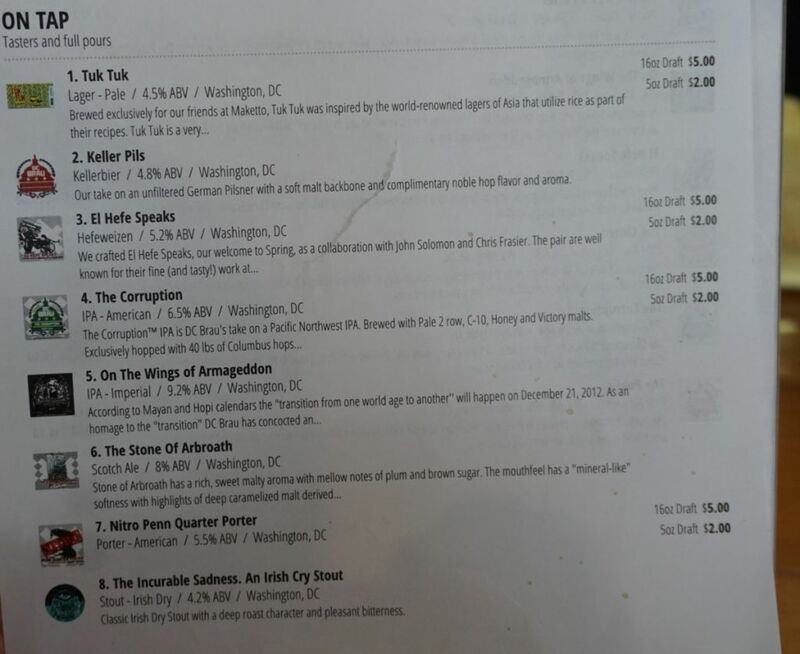 It is rare that every single beer that I tasted a brewery is this excellent, but that is exactly what I experienced at DC Brau. If I could get there Heffeweizen locally, it would be something I would drink regularly. 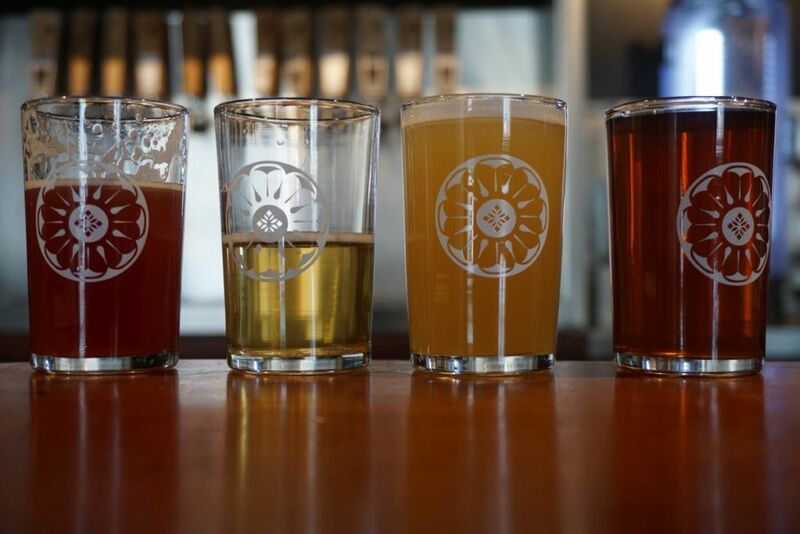 If you are in the DC area, you should absolutely try something from this excellent brewery. 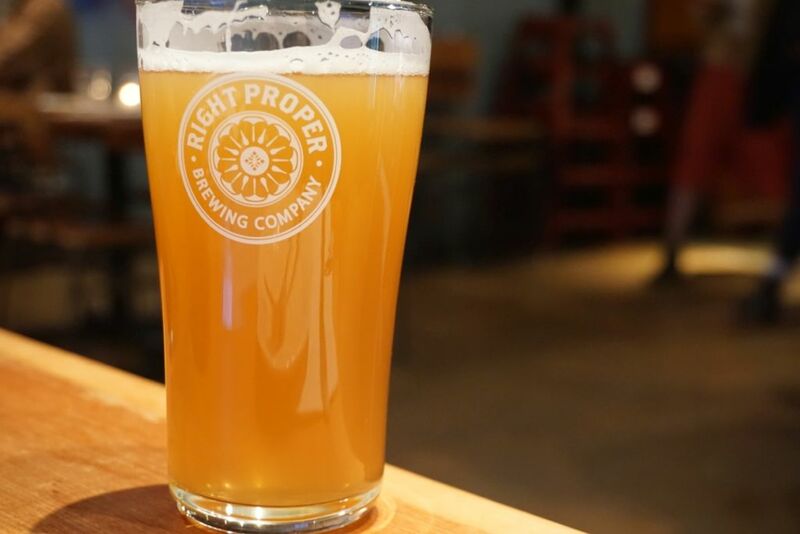 Right Proper has two locations, a brewpub closer to the city and a brewery tasting room further outside. The top lists were quite different between the two. I started with the ornithology. It was funky and oaky with a mildly tart finish, nice and complex as I would’ve expected. Song lines was an interesting hoppy farmhouse ale with notes of sassafras, light funk and minimal bitter finish. Baron Corvo, their bier de garde, was excellent with notes of cherry and berry over a smooth malt base with a dry finish. Jammy smears, cherry sour, was tart and puckering with more flavors of cranberries than cherry although it was quite good. 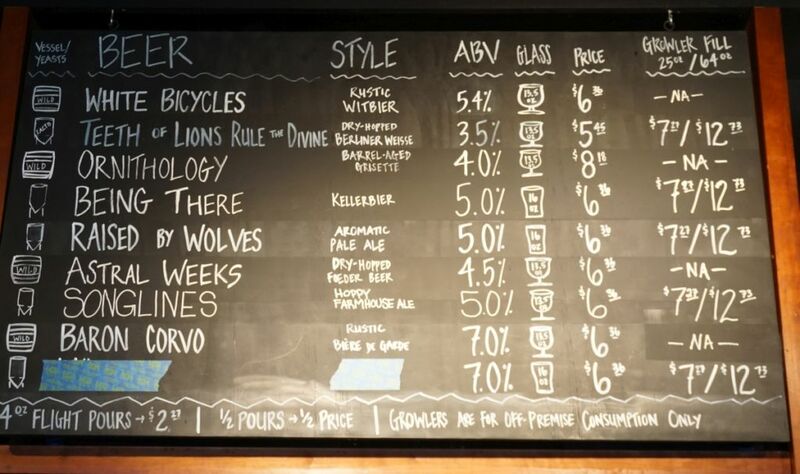 Raised by wolves, the aromatic pale ale had a hint of herbal hops with a nice mix of tropical fruit and citrus. The beer had tons of hop aroma and was nicely balanced and not overly bitter. 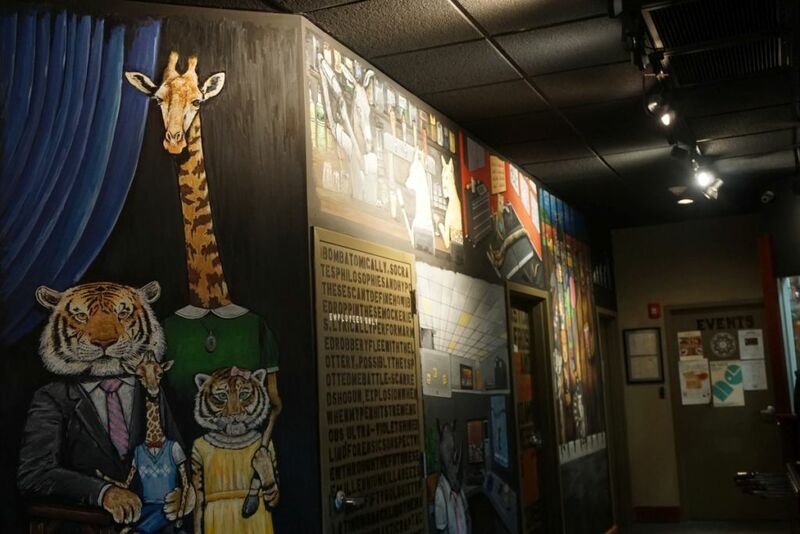 Just a sample of the interesting artwork at the brewery tasting room. The brett grisette was funky and earthy and also super light. Crushing souls IPA was super fruity with mild dankness and herbal characters on the finish. My notes are not very clear about these last two beers but I don’t recall them being anything but solid. 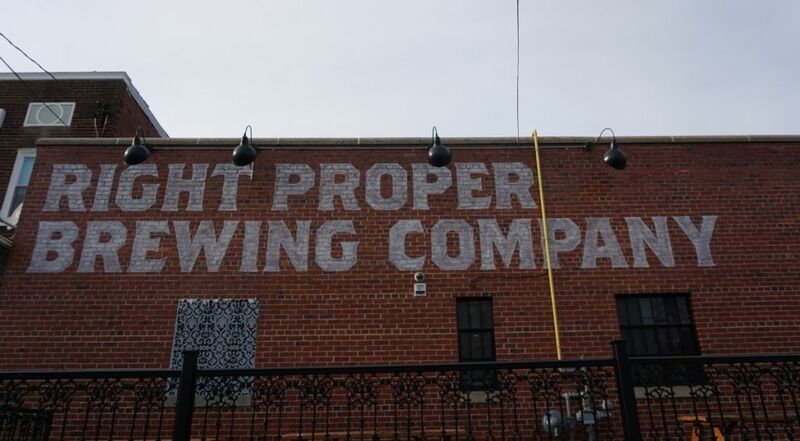 I was also quite impressed by the quality of beers at right proper. I am glad I was able to fit them into my trip.